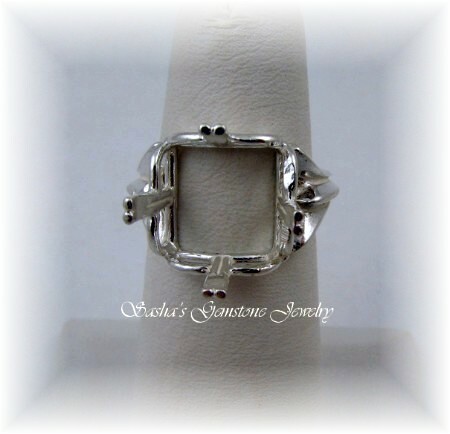 Square Regalle style ring casting. Use with well proportioned square stones. Will also work with cushion cut stones.